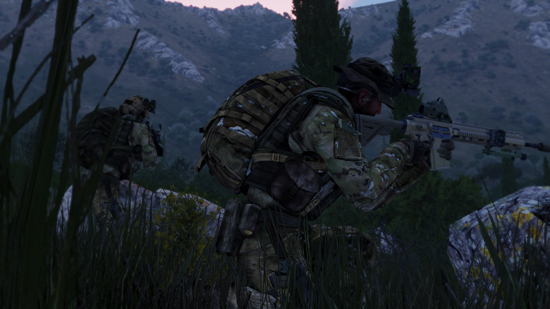 New Arma 3 Tac-Ops DLC Mission Pack. Delivering a true boots on the ground experience on a large-scale battlefield, players will be taking part in three distinct singleplayer military operations. 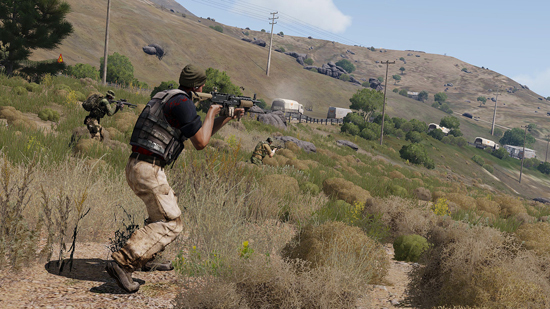 The DLC’s launch trailer presents a sneak peek at some of the combat situations in Arma 3 Tac-Ops. 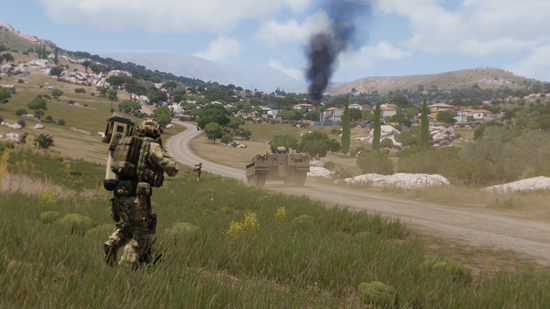 In Arma 3 Tac-Ops Mission Pack, players are tasked to lead an infantry, mechanized infantry, and/or special forces unit across an unrestricted warzone, often with multiple objectives to accomplish. The keys to success are thoughtful mission preparation, careful movement and positioning, skillful shooting, as well as patience. Altogether, the missions should take at least 8+ hours to complete, which soon becomes more depending on playstyle and difficulty settings. Additionally, players can replay selected missions from the perspective of another unit. This, in turn, rewards them with a greater understanding of the military operation as a whole . 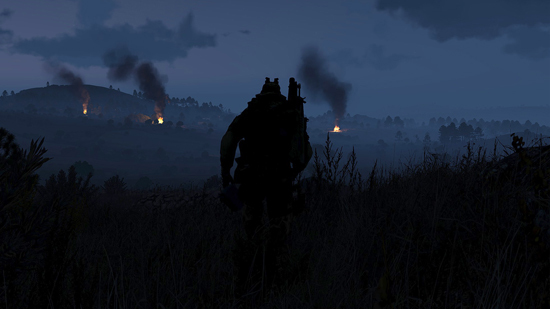 Furthermore, people can watch special After Action Report (AAR) videos, which are presented by one of Bohemia Interactive’s military consultants, and offer mission-specific insights on military tactics and combat. Beyond Hope - Nine years prior to the "East Wind" conflict, civil war rages through the Republic of Altis and Stratis. Stepping Stone - NATO reinforcements responding to the "East Wind" crisis must first secure the strategic island of Malden. 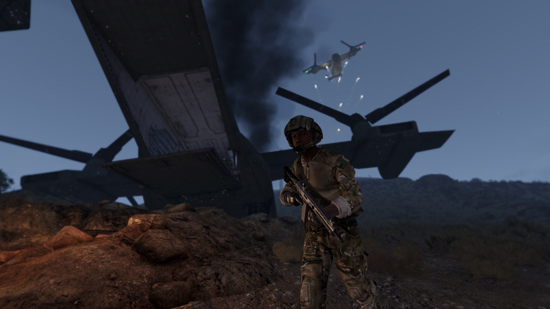 Steel Pegasus - During the invasion of Altis, NATO forces stage a daring air assault to open a second front. Authentic Warfare – Experience what true military combat is like with missions that favor intelligence, caution, and patience above all else. Fight alongside multiple armed forces, and lead your unit to victory, alive. Evolving Battlefield – Discover how your conduct and decisions on the battlefield can affect the operation by completing, failing, or ignoring (optional) objectives. Replayability – Replay a selection of missions from a different unit’s perspective to gain a greater understanding of the operation. Try out various tactics and figure out how to achieve your objectives in different ways. After Action Report (AAR) Videos – Develop your understanding of military tactics and combat with practical mission-specific insights from one of our military consultants. And More – Listen to newly composed music tracks, unlock additional Steam Achievements, and take advantage of new scripted systems to help create advanced custom Arma 3 scenarios. 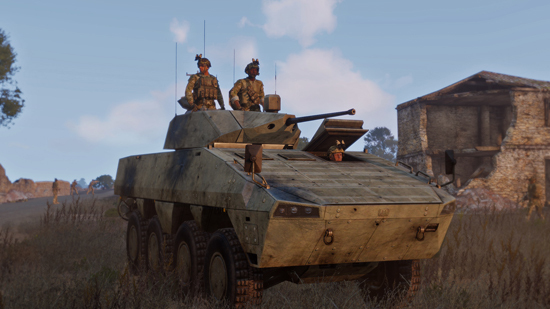 Arma 3 Tac-Ops DLC Mission Pack is now available for purchase on Steam and the Bohemia Store at €4.99 / $5.99 / £4.49. People can also buy the Arma 3 DLC Bundle 2, which saves them more than 25% over purchasing Arma 3 Tac-Ops Mission Pack, Arma 3 Jets, Arma 3 Laws of War, and the upcoming Arma 3 Tanks DLC separately.